Hello there everyone! Thank you for visiting us today. I wanted to share this beautiful project that design team member Char Gibson made. 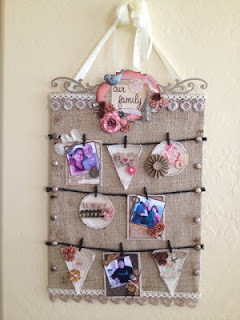 Each tag or pennant is removable, so you can rearrange them around or change the photo's and sentiments as often as you like. Love all the personalized sayings and numbers through out the tags and pennants. and or go to her video (click here).